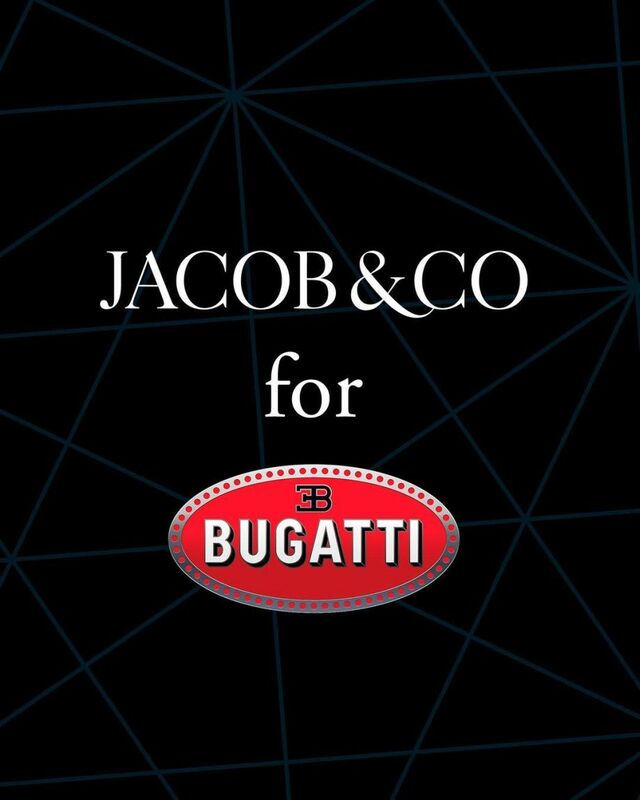 Jacob & Co. are proud to announce their long-term partnership with Bugatti, the designer and maker of the most extraordinary automobiles in the world. Based on the original Twin Turbo Furious, which debuted at Baselworld in 2018, this year's version is done in blue to match the Bugatti Chiron Sport "110 ans Bugatti" Edition. This super-fast double-triple-axis tourbillon proves to be the perfect match to the world's fastest and finest automobile. 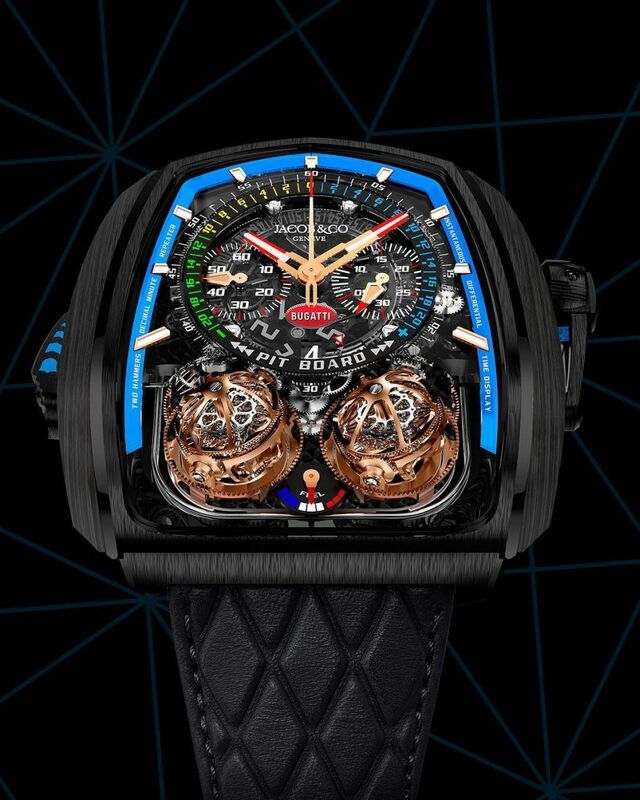 The lightest and most durable Epic X Chrono to date is the Bugatti Chrono Edition Limitée 110 Ans, a forged carbon cased limited edition of 110 pieces to mark each year since the founding of Bugatti by Ettore Bugatti in 1909. The Epic X Chrono debuts in forged carbon to pay tribute to the car that looks the world's fastest even when standing still. 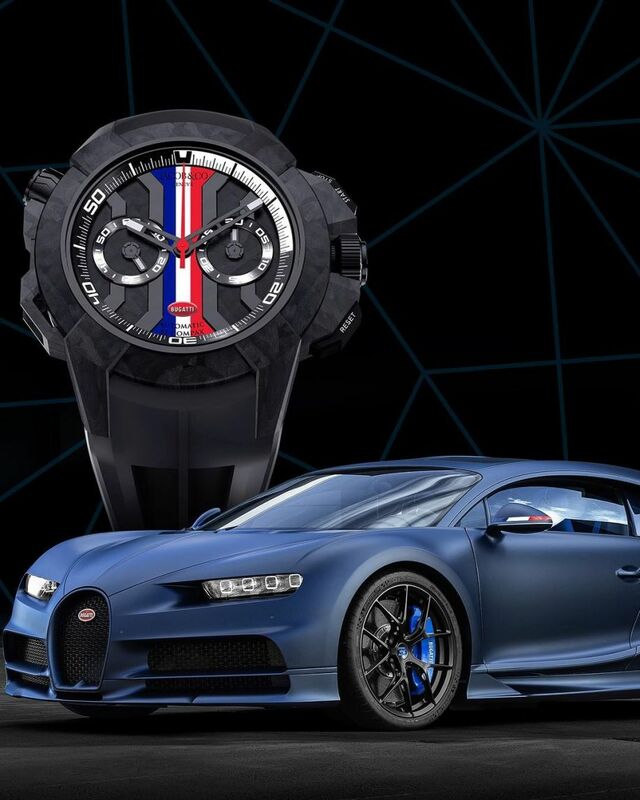 The Bugatti Chiron's menacing looks inspired the case and black X-bridge over the dial, whereas the manufacture's long-standing French heritage is represented by the French flag both on the dial of the Epic X Chrono, as well as on the side mirrors of the Bugatti Chiron Sport "110 ans Bugatti" Edition. 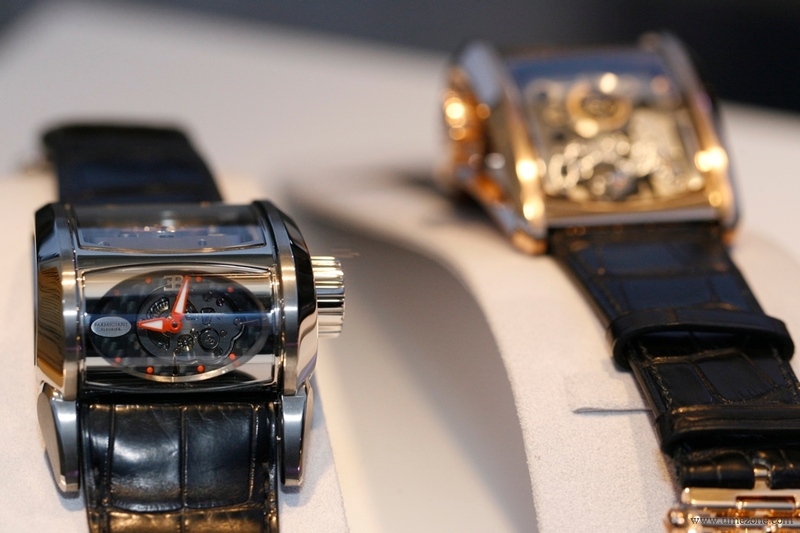 The double tourbillon looks like an incredibly impressive piece in a hideous package. The cars are much prettier. 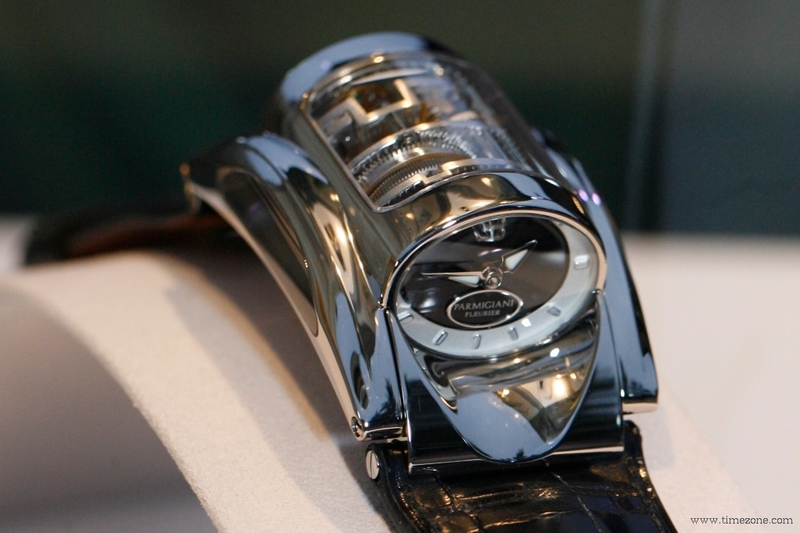 Parmigiani made the modern drivers watch look like an engine block. The Type 370 is iconic for its tubular shape & architecture. Even the vintage Mido has more charm. 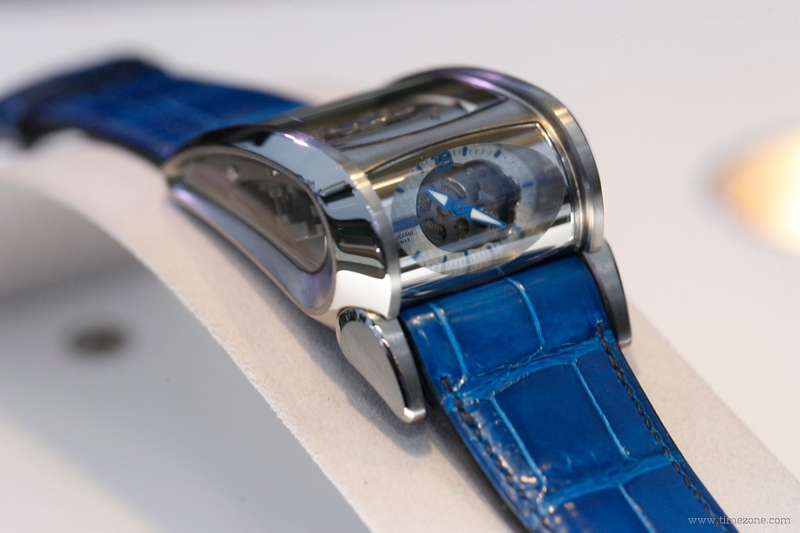 From 1925 to 1932, Ettore Bugatti commissioned 90 of these radiator-shaped watches from Mido, and gifted them to his racing drivers & factory staff. 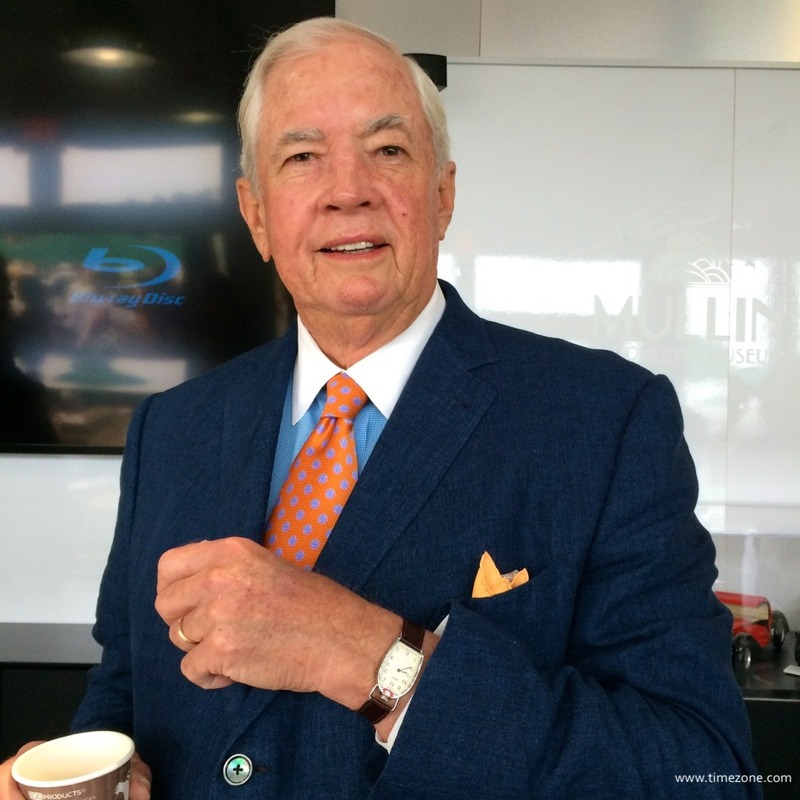 Peter Mullin is a renowned classic Bugatti collector, and also the Chairman of the Petersen Museum in Los Angeles. Here's Peter Mullin with his vintage Bugatti by Mido. I think the Parmigiani ones take their cue from older classic Bugattis. 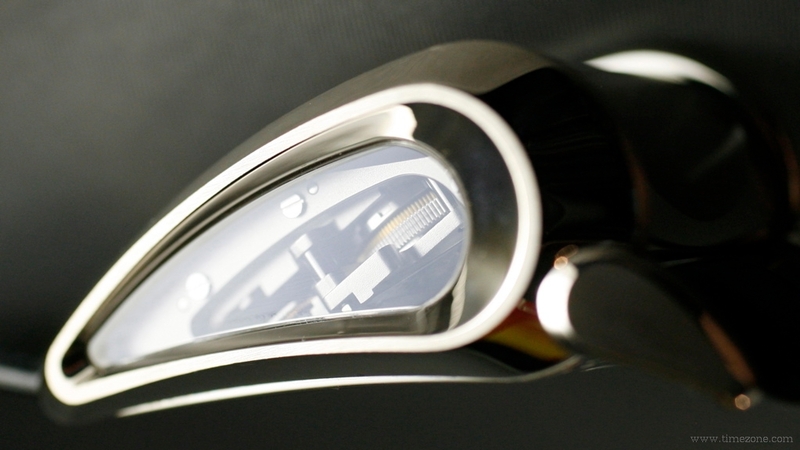 The Jacob ones with carbon fibre could be any modern supercar. 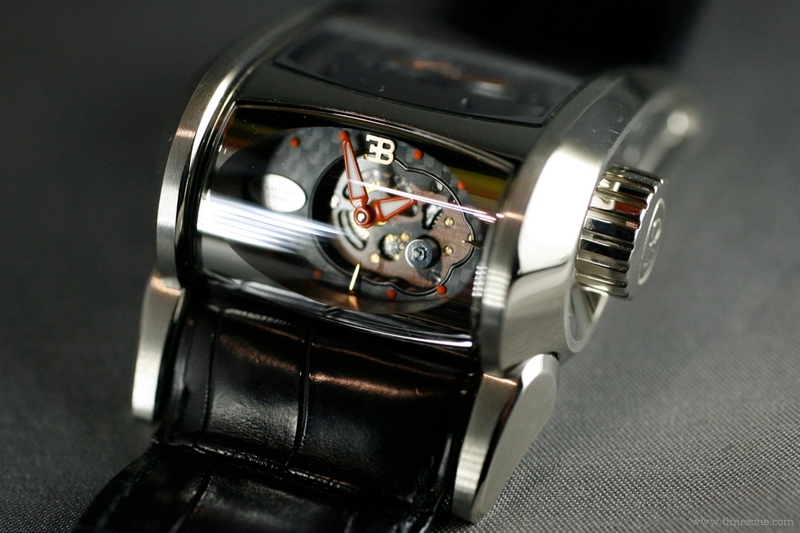 I guess 'Bugatti' once meant elegance, now it means brute force and the watches reflect this. Here's some from my visit to the French National Motor Museum at Mulhouse. 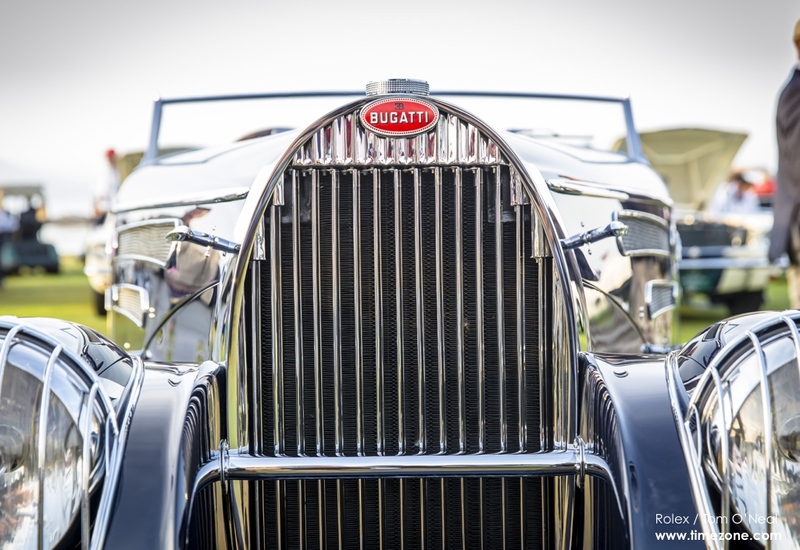 A must see for all Bugatti and vintage car and watch fans - say five people. Most mind boggling car museum ever. After some legal wrangling part of the Museum's reserve stock was sold to Peter Mullin. Yellow - "Bumblebee? 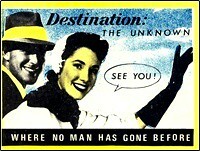 Is that you?" His wristwatch looks lie one that Hermes makes. Anyway, the watches by Jacob just don't quite make it when associated with an automobile that has a classic reputation and price tag. Even if I was in the 100 million boys club I'd hose my money away elsewhere. Garish. Next Topic: Popular watch features that annoy you?